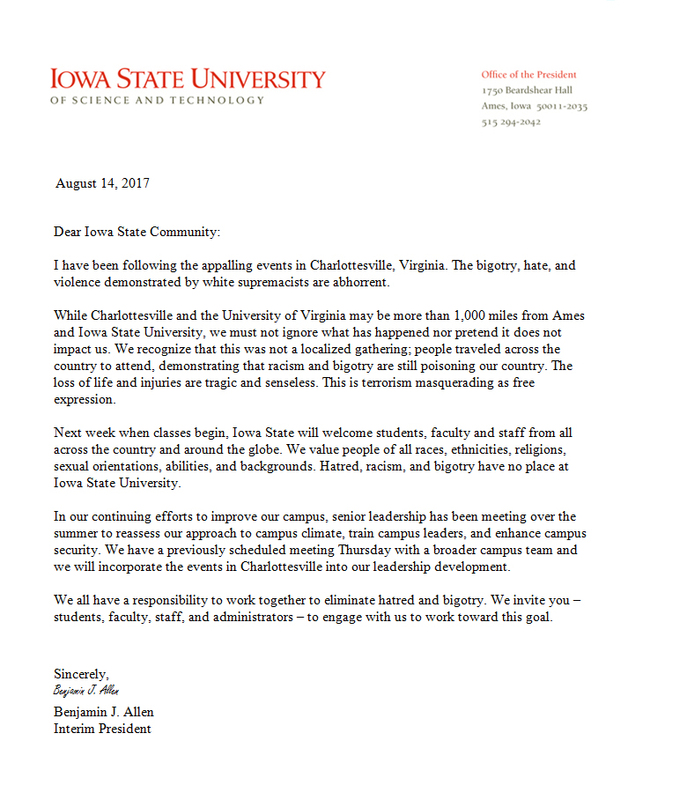 AMES, Iowa — “Bubble Gun,” a sculpture by Joe Muench, professor of art and visual culture at Iowa State University, is part of metalsmith and activist Boris Bally’s “I.M.A.G.I.N.E. 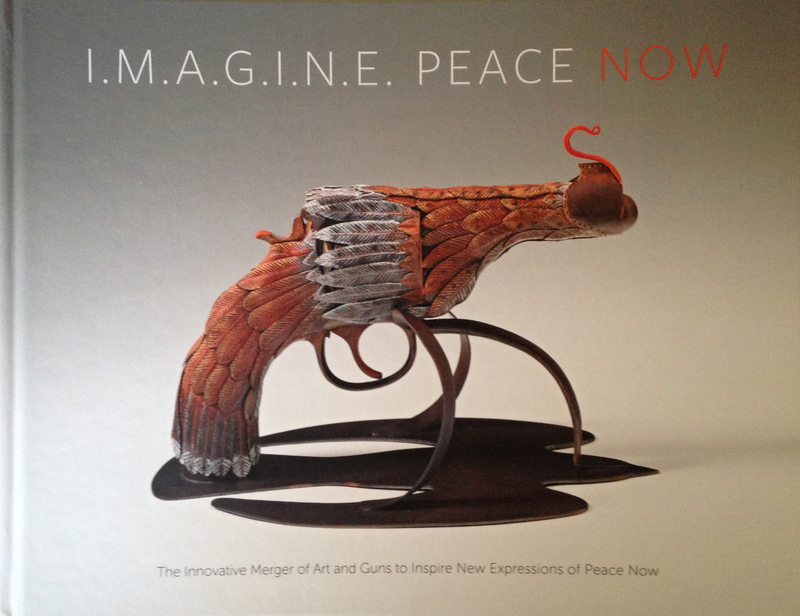 Peace Now” exhibition on display at the Boston Society of Arts and Crafts through June 10. More than 90 artists were challenged to create works incorporating disabled handguns procured from a gun buyback program, transforming them into art objects and expressions of peace. Jurors included Bally; Monica Moses, editor-in-chief of American Craft Magazine; Emily Zilber, the Ronald C. and Anita L. Wornick Curator of Contemporary Decorative Arts at the Museum of Fine Arts, Boston; and Shepard Fairey, artist, designer and activist. The show debuted at East Carolina University’s Wellington G. Gray Gallery last November and opened in Boston in February. 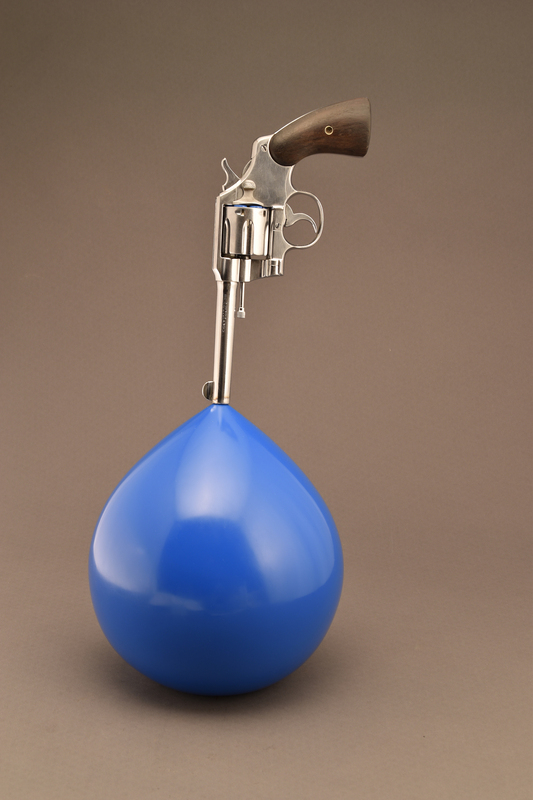 Muench’s piece is composed of an iconic Colt Official Police .38 Special connected vertically to a vibrant blue enamel-painted steel “bubble” he hand-formed and fabricated using traditional metalsmithing and automotive/aircraft metal-shaping techniques. The gun appears to have discharged, releasing not a bullet, but rather a rapidly expanding balloon-like form. Muench loaded the revolver with dummy bullets also painted blue, which can be seen through a gap between the cylinder and the body of the gun. “This work places the emphasis on the handgun as a tool with the ammunition as the actor. I believe we’re not going to easily remove guns off the streets, so this was about altering the ammunition, to allow for another potential — to neutralize rather than inflame,” he said. 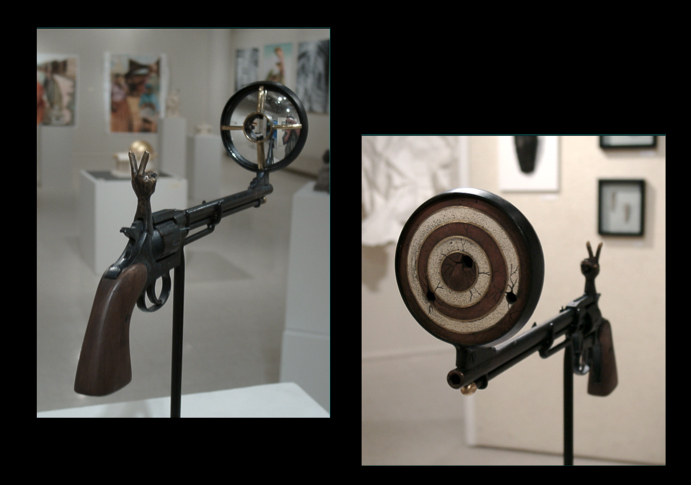 Coincidentally, Muench participated in another show about gun violence, “Artists of a Different Caliber,” nearly 20 years ago at the Target Gallery of the Torpedo Factory in Alexandria, Virginia. 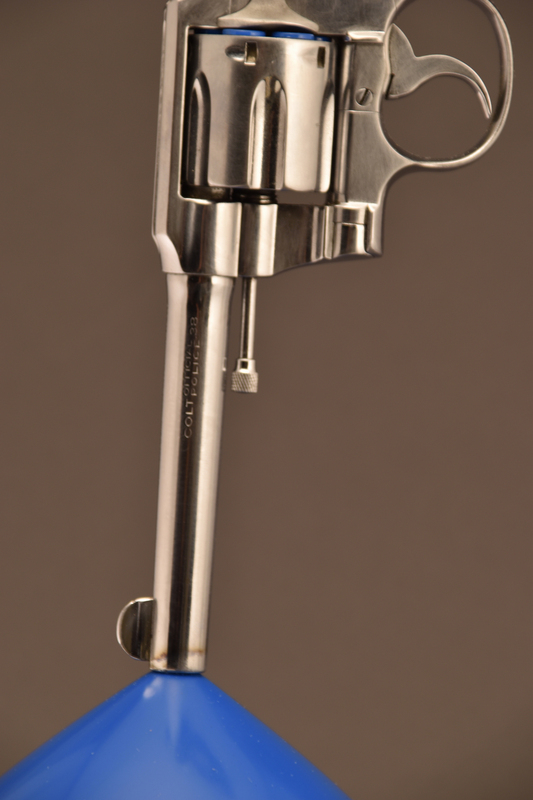 His work in that show, titled “Hindsight/Foresight: Reflections of the 20th Century,” was a revolver whose brass rear sight was a hand with fingers forming a Churchillian “V” and whose front sight included a rearview mirror. Its reverse face revealed a used red-and-white target, created from brick dust and chalk dust collected from the streets of St. Louis.